Accept PayPal, Credit card payments, add bookings or subscription services, generate invoices or manage taxes with these Best WooCommerce Plugins for WordPress (15 free & premium plugins). WooCommerce is the most popular free plugin to create an online store with WordPress. 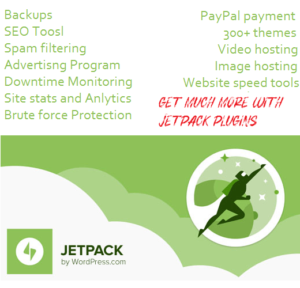 You can make your online store more powerful with additional plugins. In this article, I am going to share some most popular and Best WooCommerce Plugins for WordPress. I am going to share both free and premium plugins. If you are using any other plugin to for your WooCommerce based online store, write a comment and share your favorite plugin with us. This is a PayPal Powered by Braintree Payment Gateway for WooCommerce, which allows you to accept PayPal, credit cards, and debit cards directly at your WooCommerce based store. PayPal Powered by Braintree makes it simple and easy for you to securely sell your products and subscriptions online using Hosted Fields to help you meet security requirements without causing your theme to suffer. Hosted Fields are little iFrames, hosted on PayPal’s servers, that fit inside the checkout form elements and provide a simple and secure means for your customers to enter their card information. This is the best WooCommerce plugin for WordPress to process PayPal and/or all major credit and debit cards including Visa®, MasterCard®, American Express®, Discover®, Diner’s Club and JCB. This is another free plugin by WooThemes developers. This free WooCommerce plugin helps you to manage and track European Union Value Added Tax rules to keep your shop in line with the new European law. WooCommerce Taxamo handles EU VAT calculations using Taxamo’s VAT calculation service. Taxamo is an end-to-end service to calculate the appropriate EU VAT rates based on your customer’s location and the products within their cart. Taxamo can capture up to 6 pieces of location evidence in a single transaction, all in real-time and all without interrupting the existing customer journey. You will have to connect your WooCommerce store to Taxamo service. WooCommerce based store will send the shopping cart information to Taxamo when your customer is at the checkout and will return the appropriate EU taxes for the digital goods in their cart. WooCommerce Taxamo plugin can also handle the evidence collection and registration of payments. Whether you’re selling digital downloads, eBooks or other such digital goods, Taxamo will return the appropriate tax rates to WooCommerce, based on the customer’s location and the products in their cart. Creating invoices manually is a waste of time. Quaderno is a free WooCommerce plugin for managing invoices, credit notes, and taxes. Simply install this free plugin and get rid of the paperwork. You will be able to manage and send invoices in multiple currencies and languages. Fully comply with local rules in the US, Canada, Australia, New Zealand, Singapore, and the European Union. Quaderno takes the pain out of sales taxes, Value Added Tax & General Sales Tax. Automatically comply with all legal requirements, including EU VAT laws for digital goods. Quaderno provides intelligent reports in real-time, You can freely export them to CSV, Xero, or share them with your accountant. With 30000+ active install, this free plugin helps you to integrate Google Analytics and WooCommerce. WooCommerce Google Analytics plugin can link a referral to a purchase and add transaction information to your Google Analytics data. This free plugin also supports the new Universal Analytics, eCommerce, and enhanced eCommerce event tracking. If you really want to grow your online store, use this free plugin to understand what channels (including search, social media, email, and ads) drive the most traffic, so you know which channels to spend more time on. You can also understand which products customers are interested in by comparing traffic, transactions, and revenue across products. Olark live chat is also a free Woocommerce plugin, Live chat is one of the best and the easiest way to support and help customers. Answer their questions and make every customer a happy one. Olark is an easy and effective way to talk to customers about sales and support. You can solve your potential customers’ problems before they have a chance to click away. This is a powerful premium plugin for WooCommerce store. to sell your time or date based bookings. With this plugin, You can offer appointments, services or rentals very easily. With this plugin, You can add a new product type (appointment, service, rentals etc) to your WooCommerce site. You can also create fixed time slots when bookings are available, or let your customers decide. For better management, you can set up email notifications to be informed of confirmed or requested bookings, as well as booking reminders. – “Resources” per bookable product for added flexibility. Resources can also be created globally to apply to multiple bookable products. – Define global availability rules for all bookable products. – Allow bookings to extend overnight or into the next day. – Create buffer periods between bookings that last for minutes, hours or days. – Integration with the Product Add-Ons extension allows you to add extras for each booking. – Send custom email notifications to people who book a product. – View bookings in list or calendar format. Subscription-based online stores are very popular. WC Subscriptions is a premium add-on for WooCommerce to create and manage products with recurring payments. With WooCommerce Subscriptions you can create a variety of subscriptions for physical or virtual products and services. You can create the product of the month clubs, weekly service subscriptions, or even yearly software billing packages. To make your subscription based store, you can offer free trials, add sign-up fees or even set expiration periods. Convenient automatic payments with over 25 payment gateways mean you won’t lose your customers from other countries. Best features are that You customers/subscribers will have the ability to manage their own plan, including upgrading or downgrading, without needing to wait on you for help. This is one of the most popular premium WooCommerce plugin (13000+ Sales at codecanyon). Want to turn your Woocommerce WordPress Store into a money profit generator! WooCommerce Amazon Affiliates is here to help you. With this plugin, You can advertise Amazon products on your Woocommerce website and earn advertising fees from Qualifying Purchases. The On-Site Cart feature allows your customers to checkout with multiple products on Amazon, and that means multiple commissions for you! WooCommerce Extra Product Options is a premium but a very affordable extension to create priced product variations, conditional logic, forms, style & validate features. More than 9000+ people are using this powerful premium add-on to make their WooCommerce store more powerful. If the current functionality of your WooCommerce Products does not meet your needs and you want to add Conditional Logic to your forms or maybe you want a simple way to add further Pricing options to grab your shoppers attention? Extra Product Options is the best WooCommerce plugins for WordPress store. With the powerful the Form Builder, You can easily control the placement of your new fields. Which supports for checkboxes, radio buttons, select boxes, text-areas, input boxes, upload, date, range picker and color picker. Coupon codes and discount offers can really boost your sales. It is a common practice to increase revenue. If you want to manage your product pricing rules, coupon codes and cart discounts easily, WooCommerce Dynamic Pricing & Discounts plugin is a great choice. Features and flexibility are not matched by any alternative. Create attractive discounts and offers for your customers who buy large quantities and Boost Your Sales. It makes it very simple and easy setup special Christmas, Easter or Black Friday promotions. You can create different offers such as, set up clearance or flash sales. All products 20% off until midnight. Free case with each cell phone. Using WooCommerce Dynamic Pricing & Discounts extension, you can set up the most powerful promotions in few minutes! Create long-term pricing strategies to keep your best customers engaged. Reward customers that reach specific lifetime goals (money spent, orders completed). Use one store for both retail and wholesale sales. Start a club and offer insider discounts. Set up discounts for individual clients based on direct agreements. This is another premium yet affordable plugin for WooCommerce by sormano an elite author at CodeCanyon.com. With WooCommerce Advanced Shipping plugin, You can add your own shipping rates to your WooCommerce based store based on conditions. This powerful plugin gives you the ultimate flexibility in what you want to charge to which people. Best of all, you don’t need to know code (HTML, CSS, PHP etc) anything to get started. WooCommerce Advanced Shipping plugin has a simple graphical user Interface, which allows you to set the conditions based on your shipping needs. The design is one of the most important parts of your website or online store. This premium plugin has tons of features and customization options. If you are looking for a plugin with great features, this one is a must-have. With this plugin, You can very easily incorporate customization into your WooCommerce based online store. You can customize all products or a part of the product. Email Customizer is a great plugin to customize all of your WooCommerce emails. 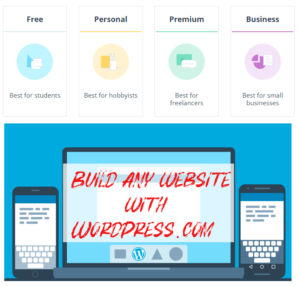 You can customize colors, header & footer format, add custom links, link to your social networks, and customize what the email says – with [shortcodes] – all using the familiar WordPress Customizer interface. You do not need to be a web developer to create and send beautiful customizable emails. But if you want to add your own styling, you can add your own custom CSS too. Currently, It is not simple and easy to customize emails. You need to edit the PHP template files, which isn’t really an option for a non-programmer and can be slow even if you are. Email Customizer for WooCommerce offers a simple way to customize your emails. You can see the live preview of your customizations and can send a test email when you are done. That’s what Email Customizer for WooCommerce does. WooChimp integrates your WooCommerce based online store with MailChimp. In just a few clicks, you can turn your online store into a powerful marketing machine. MailChimp is by far the most powerful and very popular email marketing service used to design and send email campaigns, manage subscribers, and track campaign’s performance. While MailChimp is a perfect fit for your WooCommerce store marketing campaigns, it may be hard to integrate all the powerful features that it has to offer. WooChimp plugin allows you to easily integrate your WooCommerce store with MailChimp. This is not just another “Add a signup option to a checkout page” type plugin. WooChimp fully supports MailChimp’s Ecommerce360 functionality. You can manage multiple mailing lists, subscriber groups, merge tags and webhooks. If you have a lot of products on your online store and you are looking for a simple plugin to manage and edit all products quickly and easily, this plugin helps you to do that. This plugin allows you to filter all products by title, category, attributes, regular and sale price, tags, long and short descriptions. You can also set, add, remove categories/attributes or show/hide product fields. WooCommerce Advanced Bulk Edit also support custom meta fields (text, number, checkbox, and select – bulk editable, arrays or objects not supported). With these plugins, You can accept PayPal, Credit/debit card payments, add bookings or subscription-based services to your online store and see analytics to understand your audience. If you think, we should add another plugin this list if Best WooCommerce Plugins for WordPress share your favorite WooCommrce plugin in comments below. You are presenting such an useful WooCommerce plugins list. I want to suggest one more WordPress plugin which is WC Checkout fields editor. You can manage existing billing and shipping fields also you can add new additional fields on your checkout page. Excellent post Tahir. One plugin you should definitely add to this list is the WooCommerce Order Form plugin, which I have been using to boost my own sales. The developer wrote a really helpful guide on how to get the most out of this plugin, which was a massive help to me: Your readers may find this equally as helpful. Thanks, Michael. Those are some really interesting WooCommerce plugins. I really like how you have mentioned plugins that serve a variety of purposes. There is one plugin that you might like to add to your list. WooCommerce Table Rate Shipping by Mangohour. It calculates the shipping rates based on destination, weight or cart total. I have compiled a list of WooCommerce plugins myself.